Last June, I reported on the six-month results of Professor Robyn Guymer’s pilot study of using nanosecond laser pulses to prevent vision loss from patients afflicted with early stages of dry AMD, the Ellex 2RT for Early AMD Study. The results were presented at ARVO 2010. (Ellex 2RT Updated Clinical Results: ARVO 2010). 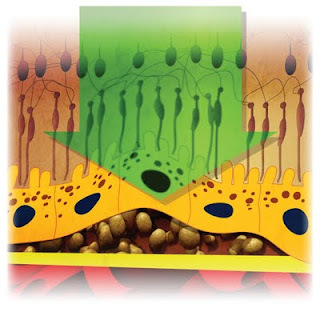 This year, at ARVO 2011, Professor Guymer and her associates presented 12-month data from her study. This is one of the only treatments offered to prevent early stage dry AMD from progressing into vision loss stages. Ellex Medical Lasers Limited announced milestone clinical results for its breakthrough Retinal Regeneration Therapy (Ellex 2RT) for the treatment of Early Age-Related Macular Degeneration (AMD). Interim 12-month clinical trial results presented at the 2011 Annual Meeting of the Association for Research in Vision and Ophthalmology (ARVO), Fort Lauderdale, demonstrated the ability of Ellex 2RT to sustain improved visual function and drusen reduction in high-risk Early AMD patients. This follows the presentation of interim 6-month results at the 2010 Annual Meeting of ARVO. 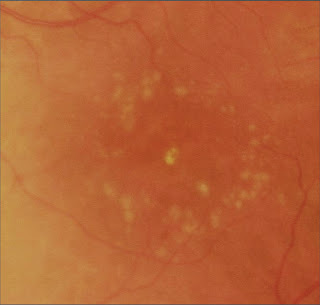 AMD is a progressive disease affecting the central area of the retina, the macula, and is the leading cause of blindness in the developed world. Globally, the early form of the disease accounts for up to 80% of all cases of AMD. To date, no treatment exists to halt the progression of AMD to its advanced stage, which is associated with severe vision loss. The interim 12-month results of 24 patients enrolled in the prospective clinical trial, Ellex 2RT for Early AMD, conducted in collaboration with Centre for Eye Research Australia (CERA) at the Royal Victorian Eye and Ear Hospital, demonstrate the clinical efficacy of Ellex 2RT in partially halting or reversing the degenerative processes which cause AMD. At 12 months two-thirds of patients experienced an improvement in visual function and drusen reduction in the treated eye, with the majority of patients also noting an improvement in the fellow, untreated eye. Visual function improved predominately in the regions of greatest dysfunction, which ... are associated with the highest likelihood of progressing to the advanced stage of the disease. “Our research shows that application of 2RT treatment is safe and painless, and results in both improved visual function and drusen resolution.” A total of 50 patients are enrolled in the trial, with completion of the 12-month follow-up targeted for the end of December 2011. Preparations for a long-term, multi-centre randomised control trial are currently underway to demonstrate the ability of Ellex 2RT to reduce the progression rate to advanced AMD. Robyn H. Guymer(1), Kate Brassington(1), Peter N. Dimitrov(1), Mary Varsamidis(1), Galina Makeyeva(1), Khin Zaw Aung(1), Devinder Chauhan(2), Algis Vingrys(3), Chi Luu(1). (1)Ctr for Eye Rsch - AU, University of Melbourne, East Melbourne, Australia; (2)Vision Retinal Institute, Box Hill Vic. 3128, Box Hill Vic. 3128, Australia; (3)University of Melbourne, Optometry & Vision Sciences, Carlton, Australia., Australia. The aim of this pilot study was to show if a novel nanosecond laser (2RT) treatment could improve visual function and reduce drusen in high risk Early Age-Related Macular Degeneration (AMD), which may then lead to reduced risk of late stage AMD. Interim results out to12 months from a prospective pilot study (ACTRN12609001056280). 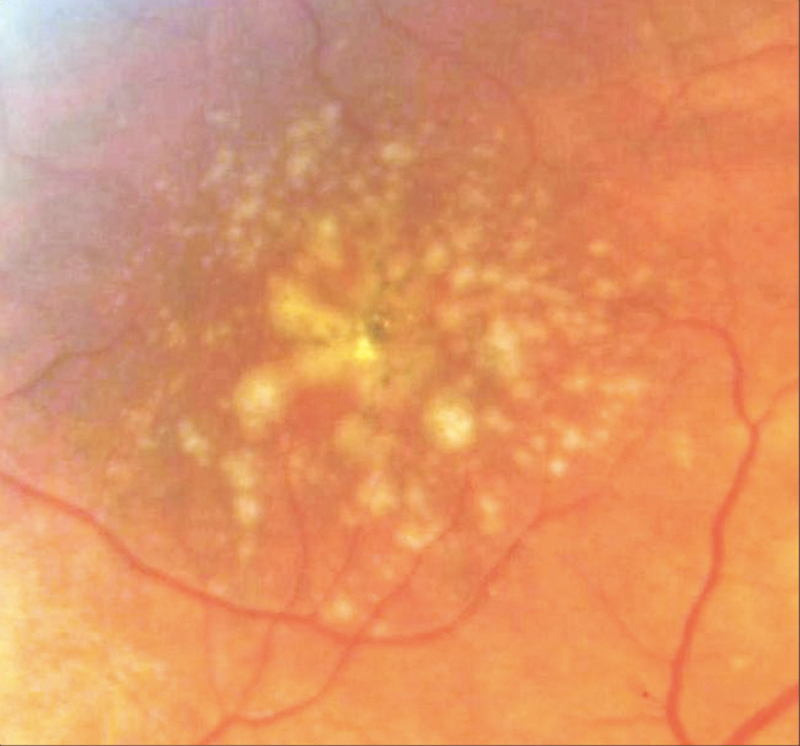 Early AMD patients selected with high risk Early AMD but without choroidal neovascularization (CNV) or geographic atrophy (GA). Patients examined with visual field perimeter, optical coherence tomography (OCT), autofluorescence (AF) imaging, fundus photography, visual acuity. Laser treatment consisted of 12 single laser pulses of 3ns duration, placed in “clock face” pattern around the mid-macular (5deg radius) of one eye using an energy range of 0.15mJ to 0.45mJ , spot diameter of 400μm, wavelength of 532nm. The patient’s eye with highest risk was treated and main follow-up was performed at 3, 6 and 12 months. Visual field results were used to determine the bilateral regions of greatest dysfunction. 13 of the 14 patients that have reached 12 month follow-up showed some level of visual function improvement or drusen reduction, in one or both eyes. The regions of greatest dysfunction in visual function improved significantly in 7 of these patients and the majority of improvement occurred in patients with the greatest pretreatment dysfunction. VA significantly improved (>5 letters) in 5 patients and some level of drusen reduction occurred in 13 of the patients in one or both eyes. No association was evident between the location of visual function improvements and the location of the laser treatment or the eye treated. Decreased function or other adverse events did not occur in the region of the laser spots. Figure 1: The pre-treatment retina showing extensive drusen, i.e. yellowish spots that form in the retina which are an early sign of Dry AMD. Figure 2: Post-treatment retina showing drusen reduction. Interim results from this pilot study show that the application of 12 extremely low energy, non thermal, 2RT laser pulses to the mid-macula resulted in visual function improvements in the regions of greatest pre-treatment dysfunction. These regions are likely to be at greatest risk of developing late stage AMD, providing circumstantial evidence that the progress of AMD is being slowed or partially reversed by this laser treatment. Ellex 2RT is applied to the retinal pigment epithelium (RPE), targeting the melanin cells, and produces a regenerative healing effect. This process of cellular regeneration improves retinal function and reverses the degenerative processes which lead to retinal disease.